When investors think of growth, they often look to tech sectors. They want to find the next killer app or the drug that’s in testing that will become the next $1 billion a year blockbuster. But, there is growth outside of the tech sector. One growth opportunity that investors might not be considering is the private prison industry. 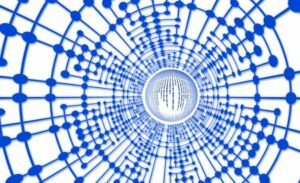 Before considering the companies involved in this industry, it is important to understand some of the relevant data. Pew Research found that perception and reality can differ when it comes to crime. “Public perceptions about crime in the U.S. often don’t align with the data. Opinion surveys regularly find that Americans believe crime is up nationally, even when the data show it is down. 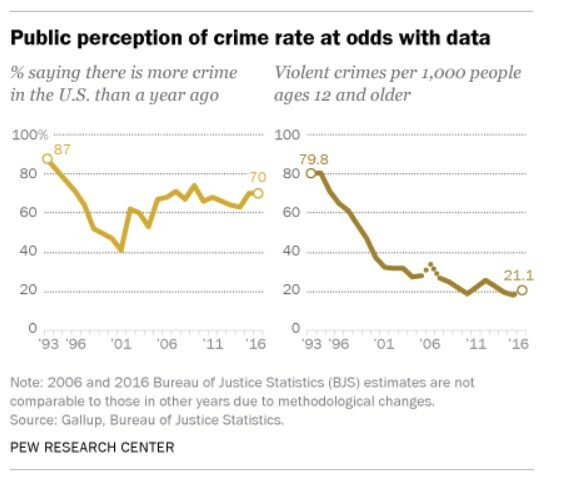 In 17 Gallup surveys conducted since 1993, at least six-in-ten Americans said there was more crime in the U.S. compared with the year before, despite the generally downward trend in national violent and property crime rates during much of that period. Pew Research Center surveys have found a similar pattern. In a survey in late 2016, 57% of registered voters said crime in the U.S. had gotten worse since 2008, even though BJS and FBI data show that violent and property crime rates declined by double-digit percentages during that span. While crime may not be as bad as many believe, it is a problem and some believe the solution to the problem is incarceration. Here the trend is down but the rate is still relatively high. “U.S. Immigration and Customs Enforcement expects to detain a record 51,379 people this year, from 38,106 in fiscal 2017. However, the trend in the prison population does seem to be down and in part it is down because of alternatives to incarceration like close monitoring relying on technology such as ankle bracelets. The private prison companies are leaders in this technology. There are two publicly traded companies in the sector, CoreCivic (NYSE: CXW) and the GEO Group (NYSE: GEO). CXW provides partnership correctional, detention and residential reentry facilities and operates prisons in the United States. The company owns or controls 48 correctional and detention facilities and 27 residential reentry centers. It also manages an additional 11 correctional and detention facilities owned by its government partners, with a total design capacity of approximately 88,400 beds in 20 states. The stock trades at about 18 times earnings and offers a dividend yield of more than 6.5%. GEO is a real estate investment trust (REIT) that specializes in the ownership, leasing and management of correctional, detention and re-entry facilities and the provision of community-based services and youth services in the United States, Australia, South Africa and the United Kingdom. The company operates in four segments: U.S. Corrections & Detention, GEO Care, International Services, and Facility Construction & Design. GEO owns, leases and operates a range of correctional and detention facilities including maximum, medium and minimum security prisons, immigration detention centers, minimum security detention centers, as well as community based reentry facilities, and offers delivery of offender rehabilitation services under its GEO Continuum of Care platform. GEO provides more diversification through what it calls “The GEO Continuum of Care” program integrates in-prison programs, which include cognitive behavioral treatment and post-release services. The stock trades at about 20 times earnings although earnings are not as important as cash flow when evaluating REITs. Cash flow from operations has averaged 10.2% of revenue over the past seven years, enough to fund the dividend which is more than 7%. GEO’s sales have been growing and averaged growth of more than 10% over the past three years. This signals that the dividend could grow. The company’s diversification also helps protect growth, and the dividend that the company will pay under rules requiring REITs to distribute their cash flow to shareholders. But there are risks. According to some analysts, “The outlook for the supply of prisoners appears bullish, yet the case for private prison companies, like CoreCivic (NYSE: CXW) and the GEO Group (NYSE: GEO), might be turning bearish. For one, ICE expects to need fewer beds in 2019. But also, Scott M. Stringer, New York City Comptroller, and Javier H. Valdés, Make the Road New York’s co-executive director, last week laid out the reasons public pensions should divest from private prisons. “Overincarceration bloats government spending: Every year, federal and state governments pour billions of dollars into caging people. Using inmates to fight fires and clean up highways offsets little of the lost. With good processes, rehabilitated former inmates could have a job, generate tax revenue, and buy houses and iPhones. But, this might not be the right analysis for you. Each investor must make their own decision and should consider the potential growth, the income and the ethics of investing in private prison companies. For more market related tips and services, click here.